As readers of this blog may know, the "inevitable disclosure" doctrine is a theory of trade secrets misappropriation. 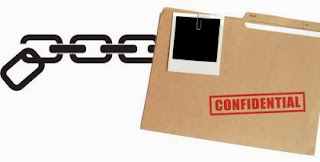 A plaintiff need not show either actual or threatened misappropriation if it can prove that it's inevitable a defendant either will use or disclose trade secrets. In many competition cases, a plaintiff asserts an inevitable disclosure claim in tandem with breach of contract claims. For remember that most employees who join a competitor (and who are worth the expense of a lawsuit) probably have some sort of non-disclosure agreement. This raises the issue of whether a plaintiff can use the inevitable disclosure doctrine to prove breach of contract. There are relatively few cases that seem to address the issue, although the logical answer seems to be "no." The better way to apply the inevitable disclosure doctrine is to use it as a means to seek preliminary injunctive relief, as a recent Arkansas federal district court did. "The doctrine has only been applied in Trade Secrets Act cases, particularly where plaintiffs have alleged the 'threatened misappropriation of trade secrets,' a discrete violation of the Act that is inherently speculative in nature." When asserting a claim for damages, it makes little sense to use the inevitable disclosure doctrine. Damages presume that some wrong already has occurred and caused an economic loss. If disclosure of trade secrets is merely "inevitable," then it's illogical to conclude the plaintiff incurred a loss. By definition, the wrong would not have occurred. Rather, the only use for the doctrine would appear to be securing injunctive relief.
. Too, until such time as there is an actual disclosure, a plaintiff's request for a remedy should be limited to an injunction.